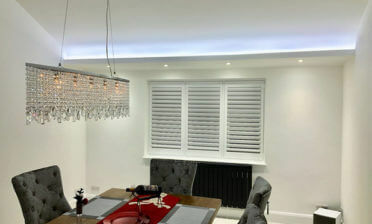 As you are probably aware we can fit shutters to a huge variety of different windows, openings and parts of the house including cupboards and wardrobes! 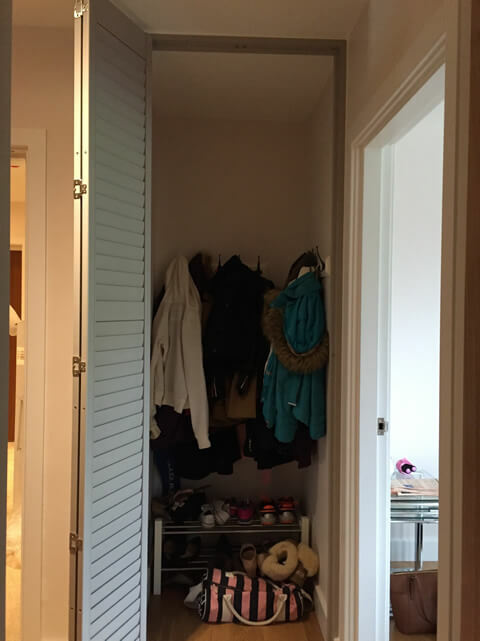 This job in Carshalton, Sutton involved creating and installing some made to measure shutters as a replacement for a standard cupboard door. This creates a stylish door which masks the area behind and brings a whole new look to the place where it is installed! Mark was on hand to take accurate measurements before we designed the shutters and created them in a full height style with mid rails halfway up. These really help to strengthen the shutter doors and break up the louvres. 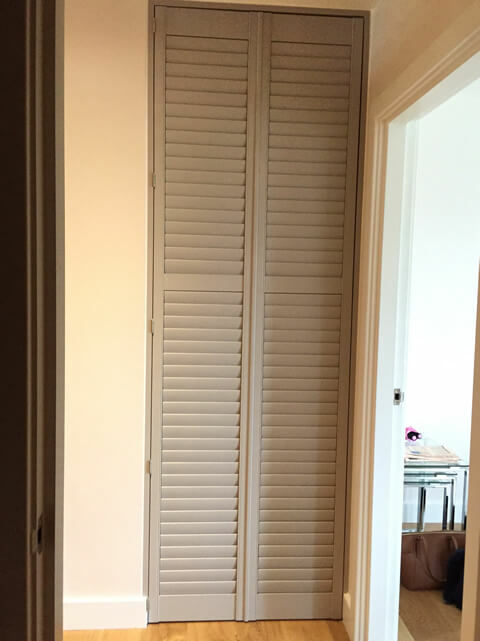 We used Fiji hardwood to create these shutters which were designed to fold on the hinges and open to take up half the room that a normal door would. 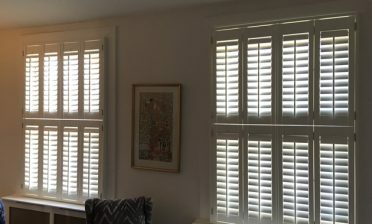 The shutters were installed by Ben with precision accuracy into the opening and not only look great, but function fantastically opening and closing with ease for the client. 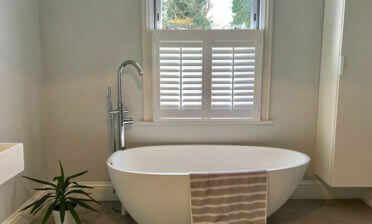 They also work very well with the existing decor in this sea mist paint with brushed nickel hinges!